How are you all? It’s been a while. You are all looking good, I like what you’ve done with your hair. Me? I’m fine, thanks for asking. I have a view across the water that is amazing, I have a working air con machine and they have given me a brand new 4×4 to mess around with. Life could be worse. Ok I got woken up at 3am by a flying cockroach and again at 5am by what I think was gunfire, but you know, beer is 75c a litre in the bar ‘down the road’ and the watermelons here are to die for. Literally in some cases. I have some time on my hands so I am doing a lot of writing. I enjoyed recently a piece written by JC about ‘Imaginary Compilation Albums’ and always promised to write one for him on Spiritualized. I’m finding that quite tough to narrow down, so here is one featuring Ride. 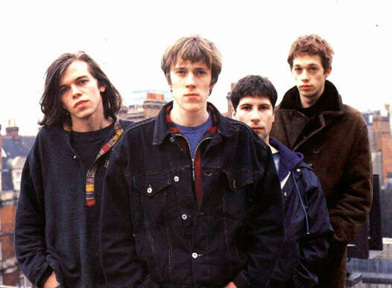 For those who don’t know Ride are probably one of the most unsung bands of the last couple of generations, they were pioneers of the much missed Shoegaze scene and with their debut album ‘Nowhere’ they created one of the best records of the nineties (those who remember my 40 albums to hear before I am 40, would have read all about this if I had time to finish it – that album folks is the 6th best ever. If you want to argue, my neighbour has a gun he has offered to lend me to shoot ‘alligators’ should I ever need it. Just saying.). Also as a sub note – it was really hard to not simply just pick the tracks from ‘Nowhere’ here. Leave Them All Behind – Because of the two-minute intro, because of the drum bit that sounds incredible, because the keyboard at the start sounds like The Who, and mostly, because chaps, the song was once voted the ultimate shagging song, although I very honestly doubt any of us would not be smoking a cigarette before it ends. Sennen – Because it a truly beautiful song, it reminds me of home and I love it. I have said it before, that Sennen Cove in Cornwall is the most beautiful place on Earth, go there, now. Also the moment when the vocals enter, is a shivers up the spine moment. Vapour Trail – Despite the ropey lyrics ‘You are a Vapour Trail, in the deep blue sky’ – the guitars mixed in with a cello (A Cello!!) create something truly lovely which batters the murkiness of the overall sound. I used to think this sounded tuneless when I was younger but I now realise that it shimmers beautifully. Dreams Burn Down – Because it sounds dark, moody and rather magnificent, especially if you listen to it whilst walking home in the pitch black. Try it. Close My Eyes – A personal choice to be honest, it reminds me of an ex girlfriend. That is all I’m going to say on that. Chelsea Girl – Perhaps the ultimate Ride song, short, sweet, poppy and probably the first single that really turned the public heads. It is all about that rush of drums and guitars at the start I think. Chrome Waves – One the best tracks off of ‘Going Blank Again’ – and I think one of the best songs that Mark Gardener ever wrote. I find it strangely haunting. In A Different Place – “Even if the rain falls down and all the skies turn cold” is the best lyric Ride ever wrote and for that we have to include it. It is a beautiful song and I think underlines why Ride were one of those bands. Like A Daydream – A song that wants to sound like the Byrds so much, but ends up sounding far better than the Byrds ever did. It has this middle section that has this pause in it, a moment of silence before the guitars just go, well all over the place. I love this song to pieces and you all should too. OX4 – It was a punch up between this and ‘Nowhere’ and the choice took me an hour and three decisions*. ‘OX4’ wins because it just hypnotises you over seven minutes. You’ll note there is nothing off of ‘Carnival of Light’ or ‘Tarantula’ here – not because they are terrible but because the aren’t as good as everything else Ride did. If I had two secret tracks at the end I would put ‘How Does It Feel to Feel?’ as one of them, because I am in the video for it (two minutes 16 seconds in), the other secret track would be ‘Unfamiliar’. Oh and ‘Taste’ and ‘Seagull’ and…Oh I’ll shut up now. Great to hear you’re doing fine, S-WC!! And yes, Ride were a mighty band, very underrated indeed! Also fantastic live! I know it’s an old post now, but I’m listening to this imaginary compilation again to get me in the mood for seeing Ride at Queens Hall tonight. It’s working! Excellent selection, cheers JC!